2018 is a special year for Las Casas, as we celebrate our 10th Annual Joci Awards, the 30th anniversary of Las Casas Foundation and San Antonio’s 300th birthday. 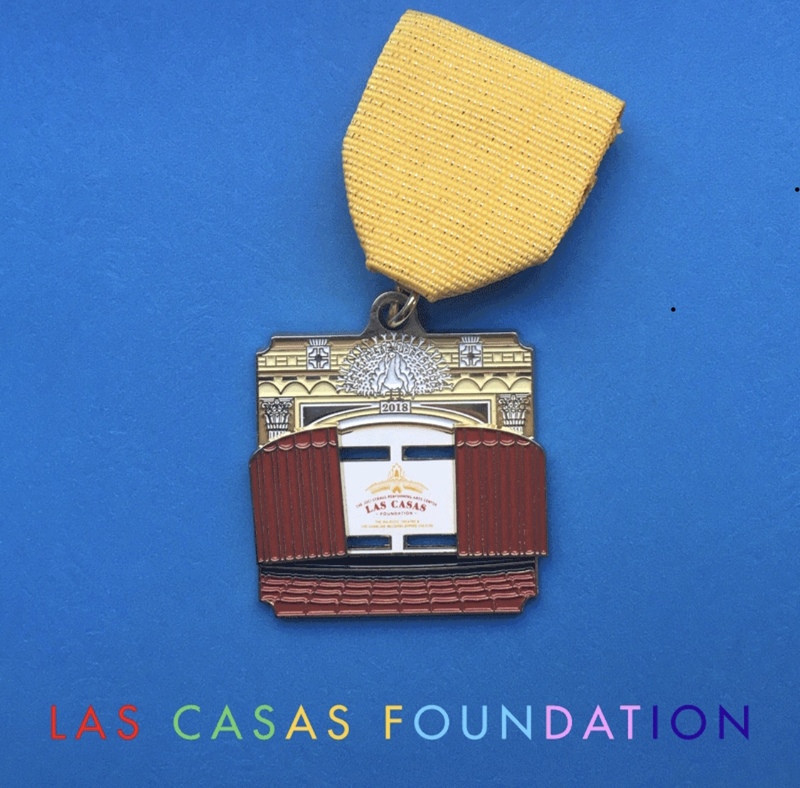 In celebration, Las Casas has created a one-of-a-kind 2018 Fiesta Medal! Features include a moveable curtain, a white peacock, which you’ll find at the Majestic Theatre, and a gold metallic ribbon drape, a nod to the gold leafing found in the Charline McCombs Empire Theatre. View the medal in action HERE. Come by the Las Casas Foundation office (222 E. Houston St., Ste. 640) Mondays through Thursdays from 9:00 a.m. to 5:00 p.m. and Fridays from 9:00 a.m. to 3:00 p.m. to pick yours up! A $20 donation gets you a medal and directly supports our scholarship and educational programs. Cash, check, or credit cards accepted. ¡VIVA FIESTA!